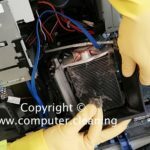 Jobs at Computer Cleaning: We live and breathe what we do, and if you can too we may have a job opportunity for you. We work in an innovative culture and with great people in London and nationwide in the UK. 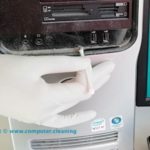 If you have experience with PC cleaning we might have a suitable role for you and we can be your next big career move. To ensure that areas are cleaned to the highest standards at all times. To maintain Health and Safety standards at all times. To follow the cleaning schedule and get the job done on time. To ensure equipment is cleaned, maintained and stored correctly. To deal with any customer/ Management requests promptly and courteously. To be able to work in London and nationwide in the UK. To apply for this job you must have basic knowledge of computer systems. (This is essential). To be reliable and responsible with a flexible approach to work. The role of cleaning manager is to manage cleaning projects staff across the UK. 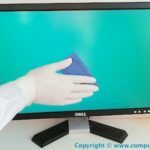 Commercial environment experience in the computer-related industry is required for this. The manager will be responsible to establish communication between customers and cleaning staff. 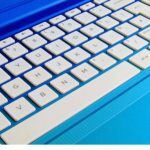 Email and Microsoft excel skills are essential for this role. You will be implementing short-term objectives to the high standards that you bring to the contract. The manager should have a good level of commercial experience of the following services. These roles are yet to be formally released. We’re committed to employing talented and passionate people and to preserving commercial cleaning and project management skills. Everyone who works for us is crucial to our success, and learning and development plays a central role in how we work. Every individual is encouraged and supported to develop themselves to achieve their full potential. At Computer Cleaning we pride ourselves on being a great place to work – and are always developing our policies and practices to ensure we maintain our positive, friendly atmosphere, that we offer the right benefits, that we communicate well with others and that people have the skills and approaches to work that we need for the future. We operate in London and nationwide in the UK.